With the hope of being called by Bishop Sullivan to be ordained a priest this coming June, I decided to write about the gift of celibacy (the promise made at my diaconate ordination) and the joyful relationships it brings. Also, I want to mention this post comes at the suggestion of a good friend who said it would be helpful for those discerning a priestly vocation and consecrated/religious vocation to hear about the gift and joy of celibacy. So, this blog is not to be overly theological, but my hope is it will convey the blessing of celibacy in my life. At my ordination as a deacon, the bishop asked me several promises and one of those principal promises is celibacy. The ordination rite reads, “Do you resolve to keep forever this commitment to remain celibate as a sign of your dedication to Christ the Lord for the sake of the Kingdom of Heaven, in the service of God and man?” How is this something freely accepted by a man at a young age or certain age at ordination? Well, this promise is not made overnight. Rather, through discernment in the seminary and with much prayer the man making this “yes” can embrace celibacy. Yet, the world objects with the two main questions always asked regarding celibacy, “Can you really live without a wife/husband?” and “Can you really live without having relations with a woman/man?” I say yes because the gift and joy of celibacy is seen through the freedom in encountering relationships with parishioners and others who are disciples of Jesus Christ. 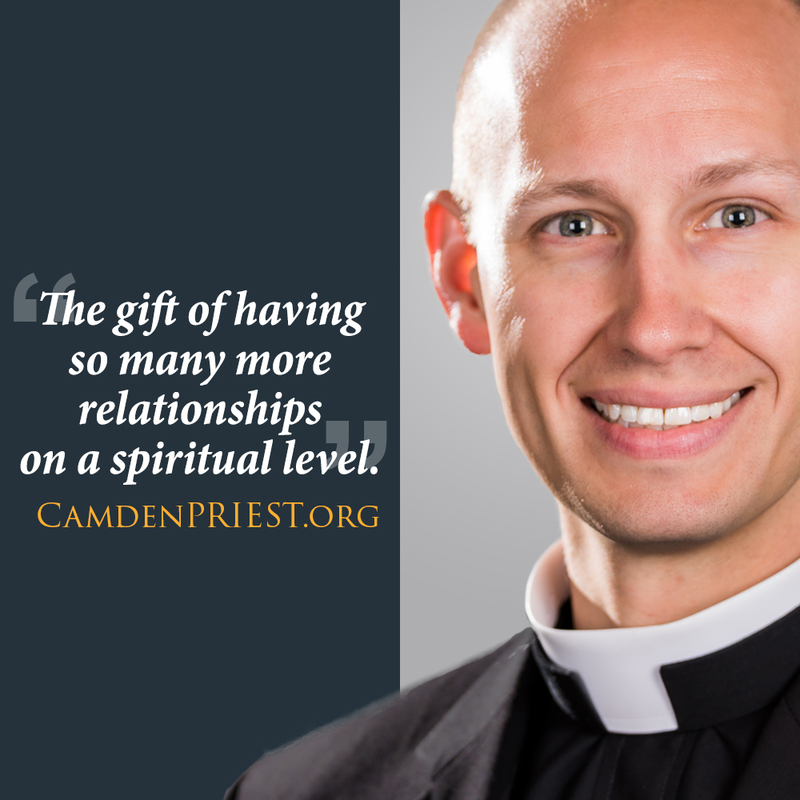 Personally, the blessing of saying “yes” to celibacy has been seen in the gift of the new relationships with parishioners in my assignment parish and throughout the diocese. Yes, there are times of loneliness, which is to be expected and natural because as humans we are wired to be relational. What is overlooked is the gift of having so many more relationships on a spiritual level, which in my opinion greatly makes up for the loss of being married. During the months since ordination, I have had the blessed opportunity of encountering and accompanying parishioners along their journey to and with the Lord in their lives. Likewise, I have seen the fruits and impact of these relationships on my prayer, which is directed towards the wellbeing and increase of Jesus’ presence in the lives of parishioners. Finally, the most precious jewel and opportunity has been the encounters I have had with several young men and women in our diocese who are discerning a vocation, primarily to consecrated/religious life. To these young men and women I share the message in this post. Celibacy is a great joy and freedom. Worry not about the “what if” of missing out on dating someone in the future. God has created many men and women in order that the “what if” man or woman should be able to find the spouse God has prepared for them. Pray that God will show them the spouse He has prepared for them. Furthermore, if you feel God is calling you, put your hand to the plow and respond graciously to His call and follow Him. God’s calling, through the gift and joy of celibacy, allows you to have a deeper encounter with Him through relationships with the people encountered through your vocation, helping bring to life the words of Jesus Christ in a different way, “For where two or three are gathered together in my name, there I am in the midst of them.” (Matt. 18:20) Celibacy allows those called by God to encounter him everyday freely. He is the first thing on your mind in the morning, through the day, and at night. To adjust a tag line from KYW News Radio 1060, life becomes “all Jesus all the time.” For myself, I will never look back to wonder if I should have dated someone. I am in the best relationship with the best person at my side for the journey I have been called to live…JESUS CHRIST. Father Anthony Infanti was ordained on Saturday, June 16, 2018 at the Cathedral of the Immaculate Conception.